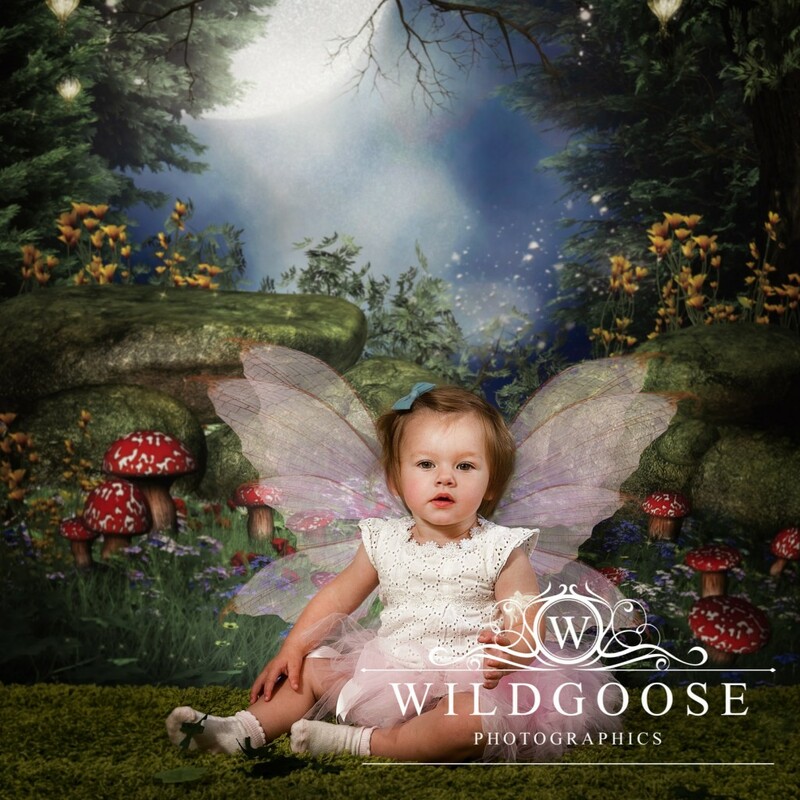 Treat your little one to a half price fairy photo shoot this half term. Now only £49.50 including free 10×8 mounted print. The weather just isn’t good enough yet to get little ones outside in a fairy dress. So, I thought I would use my magical backdrop instead and provide the warmth of Greens Norton Village Hall. What can you expect at your Fairy Photo Shoots? My sessions are 30 minutes long, for up to two children and are a great chance to get your little ones dressed up. There will be a selection of fairy dresses handmade by myself to choose from and props like lanterns flower crowns and mushrooms. You will have 15 minutes to chose and clothe your little ones before your 30-minute session begins. Wings are magic! (They will be added in Photoshop later) and will match your chosen dress. After your session you will receive a gallery of up to 10 images. Here you can choose your free 10×8 print. There will be an opportunity to purchase more images at a very reasonable cost- From £10 per print and £99 for ALL digital downloads. You will be sent your online gallery within 14 days. You have then have 7 days to choose your free print and any extras you would like to purchase. Why are my Fairy Photo Shoots different? One of the main differences is that I am a small business and not a big company! Some of the big companies only provide the conveyor belt system, where you would be in and out within 20 minutes. You will be just a number! I fully edit each image myself by hand, so you will be guaranteed my award-winning style! Not every image will have wings, so you will have a bigger range to choose from. Although my session price seems higher than the big companies, it means you don’y have to pay so much for extra prints and digital’s afterwards. There is no hard sell! You choose what you want in the comfort of your own home. If you are interested in booking an indoor fairy shoot, I only have afternoon slots left for MONDAY 18th FEBRUARY 2019.